Salmon, Idaho is a popular destination for Idaho family vacations, tourists who enjoy historical vacations, and those searching for adventure. The Sacajawea Center is a not to be missed popular area attraction for adults and kids alike. The 71-acre park is stunning, especially during the summer months when programs are in full swing. While you are on vacation in Salmon, Idaho, you may want to join us in any of our ongoing fun activities or special events. Take a walk on the nature trail where leashed dogs are welcome, stop in the Interpretive Center to pick up a souvenir or view information about the Lewis & Clark Expedition and Agaidika Shoshone-Bannock. Planning a conference, family reunion or wedding in Salmon, Idaho? Then consider the Sacajawea Center to host your events. We offer both indoor and outdoor event rental space with a caring staff who will help provide the support you need for a successful event. 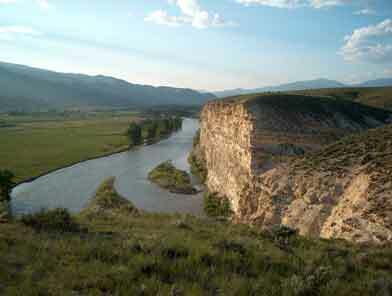 Visiting Salmon, Idaho offers you the opportunity to discover welcoming accommodations, unique shopping, delicious dining, the beautiful Salmon River, famous for fishing and world class whitewater rafting, numerous historical scenic drives, and Lewis and Clark Expedition historical sites. Make the most of your Idaho vacation, discover where to stay, play, eat and shop in the area! Below are links you can visit to get more information! If you don’t see what you need, let us know. We are always trying to add information to help make your searching easier. The Lemhi County Historical Society & Museum is open during the summer season. View artifacts of the Agai’dika Shoshone-Bannock and a complete revamping of the Ray Edwards Asian Collection! Need information about the Salmon-Challis National Forest recreation sites, trails, camping and more! Gateway to the “River of No Return Wilderness”, the Salmon-Challis National Forest manages some of the largest primitive and wilderness areas in the continental United States. The Forest features a number of important Lewis and Clark interpretive sites including Lemhi Pass, Lost Trail Pass, and access to the Wagonhammer Trail. Need information about the Bureau of Land Management – Salmon Field Office recreation sites, trails, camping and more! The Salmon Field Office manages some of the best interpretive sites along the Lewis and Clark Trail including the Flag Unfurling site, the Lewis and Clark Backcountry By-Way, Tendoy Information Site, Discovery Hill, Tower Rock Recreation Site, The Pyramids Recreation Site, and others. 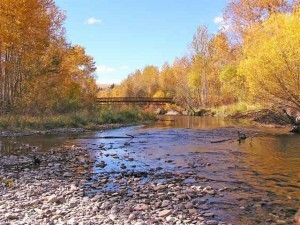 The Salmon Region Idaho Fish and Game Department can provide information about local hunting and fishing regulations as well as river access. Their offices are located at 99 Highway 93 North. Lolo, Montana: Marks the location of a centuries-old Native American campsite which Lewis and Clark’s used in 1805 and 1806. They called the nearby creek “Traveler’s Rest.” In Summer 2002, archaeologists found evidence of the Corps of Discovery’s latrine and central fire pit, positioning the Park as one of the the few sites in the nation with physical confirmation of the group’s visit–a truly unique designation. Idaho Falls Idaho, Lewis and Clark Exhibit: Walk the trail, from St. Louis to the Pacific, learning about the rich river life the explorers encountered along the rivers and how the rivers have changes over time since their use by the Lewis & Clark expedition. This interactive exhibit features a spectacular reproduction of the prow of the famous explorer’s keelboat that children can climb on, a mini-theater showing video clips, two iMac touch-screen computers, three audio stations, beautiful photographs, art reproductions, and excerpts from the explorer’s journals and maps. Clark Canyon Reservoir near Dillon, Montana. Managed by the Bureau of Reclamation, it was at Camp Fortunate that the Lewis and Clark expedition met the Agai’dika Shoshone Tribe, and cached their canoes and a stash of supplies for the return trip. Sacajawea was reunited with her people here. National Park Service, Wisdom, Montana. About an hour and a half drive north of Salmon Idaho, the park is located along the Lewis and Clark National Trail. It is the historic site of the battle between the Nez Perce tribe led by Chief Joseph on their flight to escape to Canada and the United States Cavalry. 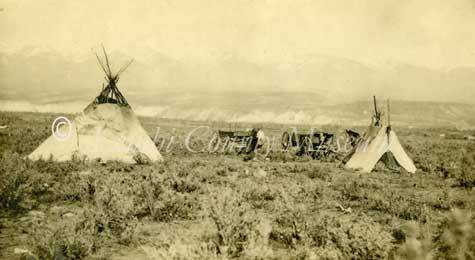 It was also one of the closet camas collecting sites for Sacajawea’s people, the Agai’dika Shoshone.